Introduction: The number of travellers from Greece who travel to sub-Saharan Africa has increased during the last decade. Our aim in this research was to study vaccination patterns for travellers travelling to sub-Saharan Africa. Methods: A cross-sectional study was conducted from January 2011 until December 2014 in all (57) public health departments in Greece. Travellers over 18 years travelling to sub-Saharan Africa participated in this study. A standard form was used in order to collect data about travellers’ demographics, immunization history and travel information. Results: During the study period, 1768 travellers (median age: 39.2 years) travelling to sub-Saharan Africa participated. Among them, 69.2% of them were male and 95.4% of them had a Greek nationality. Nigeria was their most common destination (15.7%). Among all the travellers, 56.7% stayed in urban areas, 57.9% travelled for less than one month, 58.5% for work, 29% for vacation, and 5.8% for visiting friends and relatives. Furthermore, 79.7%, 30.9%, 19.7%, 16.8%, and 14.1% received the yellow fever, typhoid fever, tetanus-diphtheria, hepatitis A, and meningococcal vaccines, respectively. The purpose of travelling was statistically significantly associated with gender, nationality, and the duration of travel. Tetanus, hepatitis A & B, poliomyelitis, rabies and meningococcal vaccines were more commonly recommended for recreational travel, whereas tetanus, hepatitis A, and poliomyelitis vaccines for short-term travellers and typhoid vaccine for long-term travellers. Conclusion: It can be concluded that vaccination rrecommendations should be improved for the travellers to sub-Saharan Africa. Individualized and more selective pre-travel recommendations are needed taking in consideration the purpose and duration of travel, the area and place of stay. World Tourism Organization. Annual report 2014. http://dtxtq4w60xqpw.cloudfront.net/sites/all/files/pdf/unwto_annual_report_2014.pdf. Accessed November 26, 2016. Khan K, Arino J, HuW, et al. Spread of a novel influenza A (H1N1) virus via global airline transportation. N Engl J Med. 2009;361:212-214. doi:10.1056/NEJMc0904559. Freedman DO, Weld LH, Kozarsky PE, et al. Spectrum of disease and relation to place of exposure among ill returned travelers. N Engl J Med. 2006;354()2):119–30. doi:10.1056/NEJMoa051331. Leder K, Torresi J, Libman MD, et al. GeoSentinel Surveillance Network. GeoSentinel surveillance of illness in returned travelers, 2007-2011. Ann Intern Med. 2013;158(6):456-468. doi:10.7326/0003-4819-158-6-201303190-00005. Boggild AK, Castelli F, Gautret P, et al. Vaccine-preventable diseases in returned international travelers: results from the GeoSentinel Surveillance Network. Vaccine 2010;28(46):7389-7395. doi:10.1016/j.vaccine.2010.09.009. Maltezou HC, Patrinos S, Veneti L, et al. Hepatitis A and enteric fever in Greece, 2004-2011: a cross-sectional analysis. Travel Med Infect Dis. 2014;12(2):143-148. doi:10.1016/j.tmaid.2013.10.004. Wilson ME, Weld LH, Boggild A, et al. Fever in returned travelers: results from the GeoSentinel Surveillance Network. Clin Infect Dis. 2007;44:1560-1568. doi:10.1086/518173. Hatz C, Chen LH. Pre-travel consultation. In: Keystone JS, Freedman DO, Kozarsky PE, Connor BA, Nothdurft HD, eds. Travel Medicine. 3rd ed. Spain: Mosby; 2013:77-101. Hellenic Centre for Disease Control and Prevention (KEELPNO). http://www.keelpno.gr/el. Accessed February 16, 2017. World Health Organization. International Travel and Health 2012. http://www.who.int/ith/ITH_chapter_6.pdf?ua=1. Accessed November 26, 2016. Centers for Disease Control and Prevention. http://wwwnc.cdc.gov/travel/destinations/list/. Accessed February 16, 2017. National Vaccination Program for Children and Adolescents (in Greek). https://diavgeia.gov.gr/. Accessed November 26, 2016. Published 2011. Smeti P, Pavli A, Katerelos P, Maltezou HC. Typhoid vaccination for international travelers from Greece visiting developing countries. J Travel Med. 2014;21:99-103. doi:10.1111/jtm.12076. Pavli A, Katerelos P, Smeti P, Maltezou HC. Meningococcal vaccination for international travelers from Greece visiting developing countries. Travel Med Infect Dis. 2016;14:261-266 . Hellenic Statistical Authority. http://www.statistics.gr/statistics/-/publication/STO15/. Accessed 12 March, 2016. Hamer DH, Connor BA. Travel health knowledge, attitudes and practices among United States travelers. J Travel Med 2004;11:23-26. Van Herck K, Van Damme P, Castelli F, et al. Knowledge, attitudes and practices in travel-related infectious diseases: the European airport survey. J Travel Med. 2004;11:3-8. Wilder-Smith A, Khairullah NS, Song JH, et al. Travel health knowledge, attitudes and practices among Australasian travelers. J Travel Med. 2004;11:9-15. Pavli A, Spilioti A, Smeti P, et al. Vaccination and malaria prevention among international travelers departing from Athens International Airport to African destinations. J Trop Med. 2014;2014:563030. doi:10.1155/2014/563030. World Health Organization. Disease Outbreak News. http://www.who.int/csr/don/22-april-2016-yellow-fever-china/en/. Accessed February 16, 2017. Gunaratnam P, Tobin S, Seale H, McAnulty JM. Infectious diseases in returned travelers, NSW, 2010-2011. N S W Public Health Bull. 2014;24:171-175. Hellenic Centre for Disease Control and Prevention (KEELPNO). http://www.keelpno.gr/el. Accessed March 12, 2016. Monge-Maillo B, Norman FF, Pérez-Molina JA, et al. Travelers visiting friends and relatives (VFRs) and imported infectious disease: travelers, immigrants or both? a comparative analysis. Travel Med Infect Dis. 2014;12(1):88-94. doi:10.1016/j.tmaid.2013.07.004. Steinberg EB, Bishop R, Haber P, et al. Typhoid fever in travelers: who should be targeted for prevention? Clin Infect Dis. 2004;39:186-191. Centers for Disease Control and Prevention. http://wwwnc.cdc.gov/travel/yellowbook/2016/infectious-diseases-related-to-travel/typhoid-paratyphoid-fever. Accessed March 12, 2015. Larocque RC, Rao SR, Lee J, et al. Global TravEpiNet: a national consortium of clinics providing care to international travelers - analysis of demographic characteristics, travel destinations, and pre-travel healthcare of high-risk US international travelers, 2009-2011. Clin Infect Dis. 2012;54(4):455-462. doi:10.1093/cid/cir839. Steffen R. Changing travel-related global epidemiology of hepatitis A. Am J Med. 2005;118(suppl 10A):S46-S49. Mutsch M, Spicher VM, Gut C, Steffen R. Hepatitis A virus infections in travelers, 1988–2004. Clin Infect Dis. 2006;42:490–497. Leggat PA, Zwar NA, Hudson BJ. Travel Health Advisory Group, Australia. Hepatitis B risks and immunisation coverage amongst Australians traveling to Southeast Asia and East Asia. Travel Med Infect Dis. 2009;7(6):344-349. doi:10.1016/j.tmaid.2009.03.008. Zuckerman JN, Hoet B. Hepatitis B immunisation in travelers: poor risk perception and inadequate protection. Travel Med Infect Dis. 2008;6(5):315-320. doi:10.1016/j.tmaid.2008.05.001. World Health Organization. 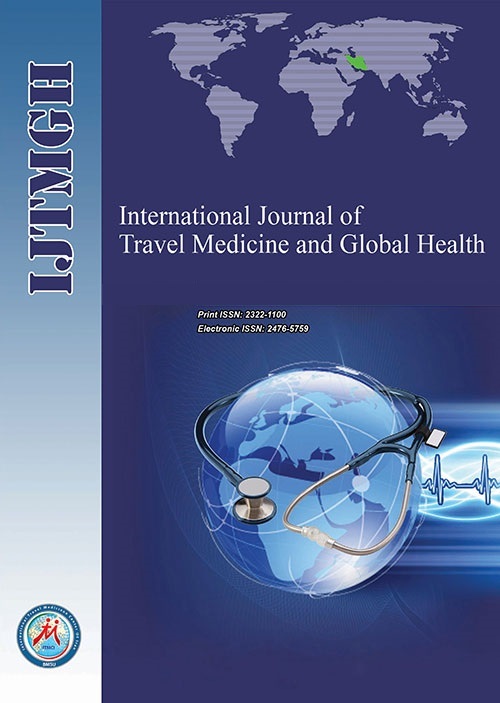 International Travel and Health, http://www.who.int/ith/chapters/ith2012en_chap6.pdf. Accessed Accessed March 12, 2016. Goodman AL, Masuet-Aumatell C, Halbert J, Zuckerman JN. Awareness of meningococcal disease among travelers from the United Kingdom to the meningitis belt in Africa. Am J Trop Med Hyg. 2014;91(2):281-286. doi:10.4269/ajtmh.13-0763. Pavli A, Saroglou G, Hadjianastasiou S, et al. Knowledge and practices about rabies among travel medicine consultants in Greece. Travel Med Infect Dis. 2011;9(1):32-36. doi:10.1016/j.tmaid.2010.11.004. Altmann M, Parola P, Delmont J, et al. Knowledge, attitudes, and practices of French travelers from Marseille regarding rabies risk and prevention. J Travel Med. 2009;16(2):107-111. doi:10.1111/j.1708-8305.2008.00283.x. Gautret P, Parola P. Rabies vaccination for international travelers. Vaccine. 2012;30:126-133. doi:10.1016/j.vaccine.2011.11.007.